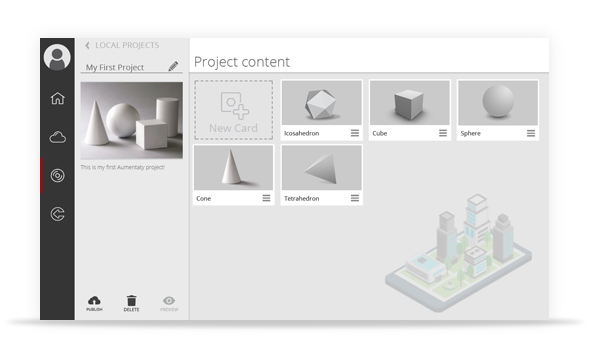 Creator allows you to quickly and easily create augmented reality projects that can display 3D models associate videos, pictures, text, etc., to markers and also create virtual routes with Points of Interest (POIs). 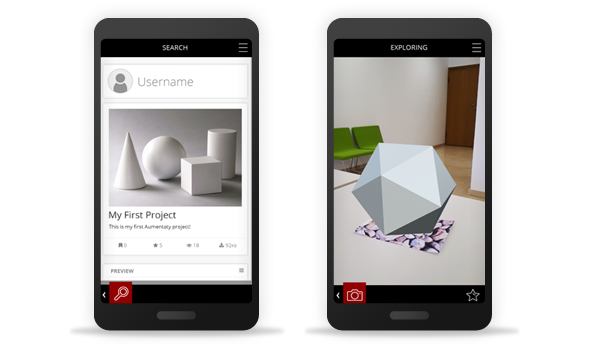 Once created you can view and share them with anyone who has downloaded Scope. Scope is an app that lets you view all the published content in the Aumentaty community that was made by Creator. Once the project is detected and downloaded, its content is displayed automatically.